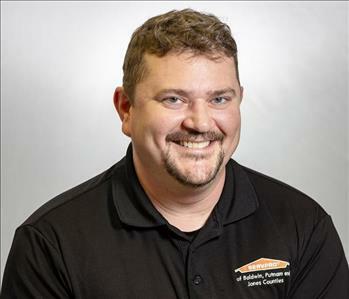 Jason is co-owner of SERVPRO of Baldwin, Putnam and Jones Counties and SERVPRO of Monroe, Madison & Monticello. Jason is a licensed General Contractor and is IICRC certified in Water and Applied Structural Drying and Introduction to Mold. Jason assists clients following a disaster to rebuild their home/business. He is happily married with 3 children who are both academically and athletically inclined. In his spare time, you can find him on a ball field, spending quality time with his family. He also enjoys time on the lake, hunting and golf. 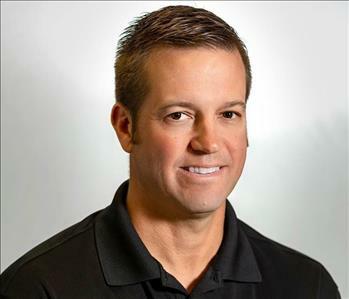 Josh is co-owner of SERVPRO of Baldwin, Putnam and Jones Counties and SERVPRO of Monroe, Madison & Monticello. Josh is a licensed General Contractor and is IICRC Water Certified. He is happily married and has 3 children who are active in many athletic arenas. In his spare time, Josh enjoys hunting with his boys, weekends at the beach with family and friends and golfing. Brad is Operations Manager at SERVPRO of Baldwin, Putnam and Jones Counties. He holds a Bachelor's in Science from the University of Georgia. 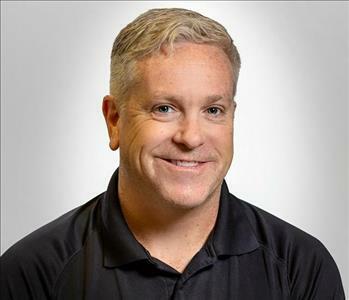 He possesses many years of experience and accreditation for Water Damage Restoration, Fire and Smoke Restoration and Applied Microbial Remediation through the Institute of Inspection Cleaning and Restoration Certification (IICRC). 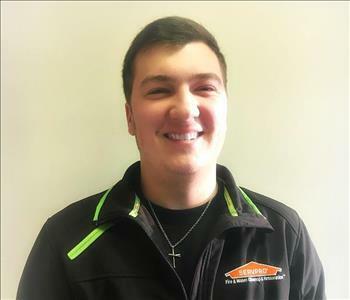 Brad holds a SERVPRO ECTP Certification in Crew Training and Water Damage. Brad is happily married to Jessica and they share two beautiful children. 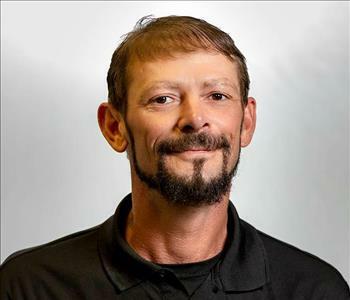 Todd is the Production Manager at SERVPRO of Baldwin, Putnam and Jones Counties. 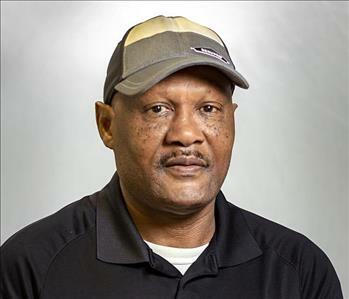 He possesses over 12 years experience and has the following certifications from the Institute of Inspection Cleaning and Restoration Certification (IICRC): Crew Training, Water Removal, Fire Damage and Carpet & Upholstery . He also possesses SERVPRO ECTP certification in fire damage. Todd is married with two beautiful girls whom he shares his knowledge/enjoyment for hunting, planting food plots, and observing the wildlife. He has invested years in coaching the girl's softball leagues, resulting in two avid softball players. Benny has been with our team over 25 years and wears the many hats that come along with the "rebuild" following a disaster. Benny is skilled in many departments and always has a smile on his face, never meeting a stranger. If disaster ever strikes your home or office, you can rest assured that Benny will be there to make it look "Like it never even happened". Cassie joined the team as office manager in 2013 and the foundation of our day. She works tirelessly to ensure each job is successful from the moment we're notified of a disaster or called about a carpet cleaning. She is IICRC Certified in Water Damage Restoration and holds a SERVPRO ECTP certification in carpet and upholstery cleaning. Cassie is truly the glue to our ship. She has 4 beautiful children and loves to bake and work out in her spare time. 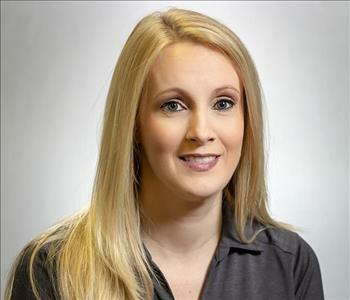 Ashley Bacon joined the team in February 2016 as the Sales and Marketing Manager. Her territory includes Milledgeville, Gray, Sparta, Sandersville, Eatonton, Lake Oconee and Irwinton. Ashley works directly with commercial clients and insurance professionals to ensure quality work is performed every time. She holds SERVPRO ECTP certifications in both water damage and crew training. 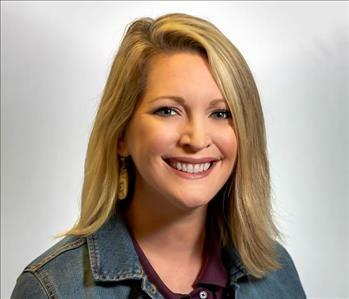 Ashley has built a solid career with over 18 years of professional sales and marketing experience and she serves her local community as Executive Director of Keep Milledgeville Baldwin Beautiful, Rotarian, Young Professional and wears the hat of board member with several organizations in our area. She and her husband Nath have 3 beautiful children and enjoy time in the garden and football season. Megan joined the SERVPRO of Baldwin, Putnam and Jones Counties team in 2017. Megan brings a wealth of knowledge using Xactimate, a program used to create sketches and estimates for clients as disasters occur. Megan has SERVPRO ECTP certifications in crew training, water damage, carpet and upholstery cleaning and fire damage. 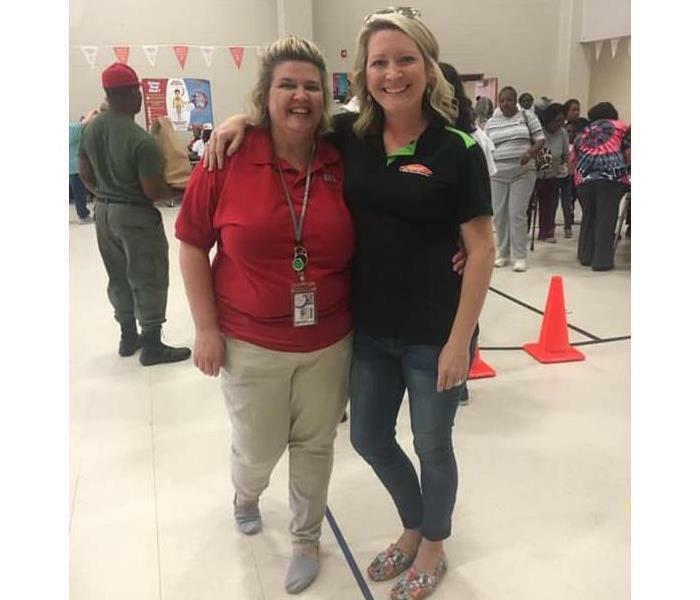 She graduated with a degree in Business Management from CGTC and she was a foster parent for 2 years. In her spare time, she loves spending time with her family, her pet duck, 2 dogs and firefighting husband. 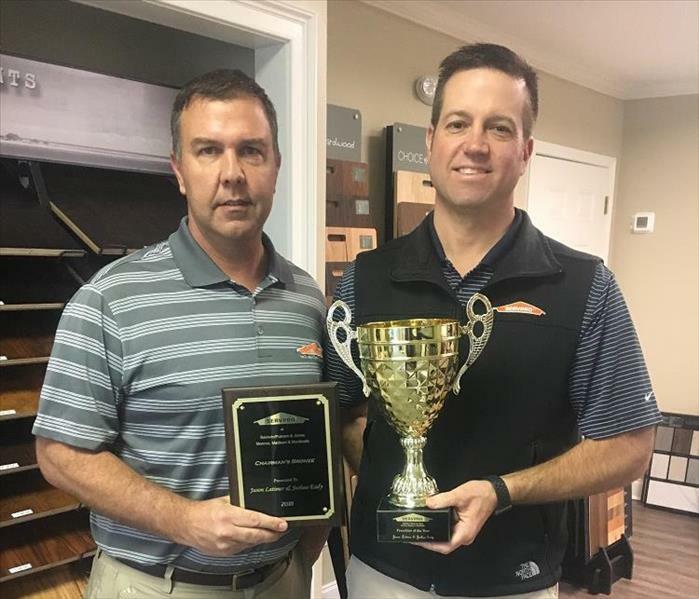 Jonie joined the team in 2018 as a Floor Covering Specialist with a wealth of flooring expertise. 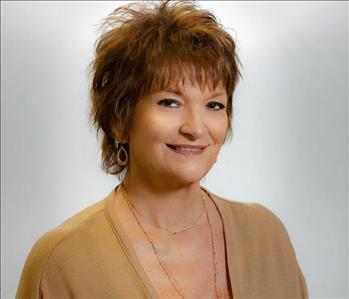 She serves the team with over 16 years in the business of floor coverings, installation and customer service. Following the mitigation process, customers are welcomed into our showroom of floor covering options and Jonie assists them with determining the most practical solutions for their home or business. These can often be tough choices to make, especially after someone has experienced a loss, but people can rely on Jonie to make the experience a good one. Jonie is happily married and has one child. In her spare time, she enjoys spending quality time with her family. 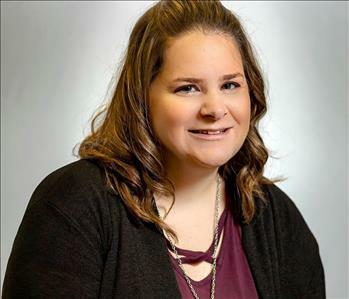 Melissa joined our team in 2018 as a Sales and Marketing Rep and possesses over two decades of experience in the fields of sales, marketing and advertising. She is the proud mother of 4 beautiful daughters and 1 handsome grandson. In her spare time, Melissa enjoys kayaking and time with her family and friends. 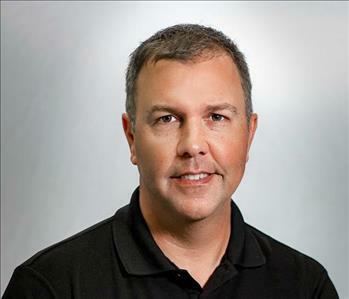 Brent joined our team in 2018 as a Project Manager. He brings a solid skillset with nearly a decade of experience in the field of construction and rebuild following disaster. Brent spent the first few years of his career as a firefighter. He is happily married with a beautiful daughter and in his spare time, he enjoys cooking and spending time with his family. Andy joined our team in 2017 and brings a wealth of experience and talent. 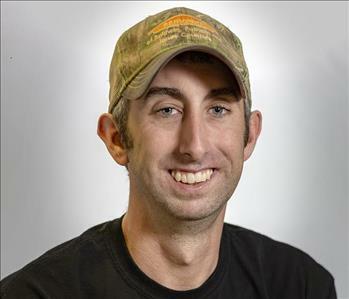 Andy wears the hat of Crew Chief and is an IICRC Certified Water Damage Technician and SERVPRO ECTP Certified in Crew Training and Water Damage. Andy served our great country as a Marine, weathering two active tours of duty in Iraq. He is always ready to roll up his sleeves and solve problems for homeowners and clients as problems arise. Andy is happily married to Sara and enjoys weekends around his Big Green Egg. 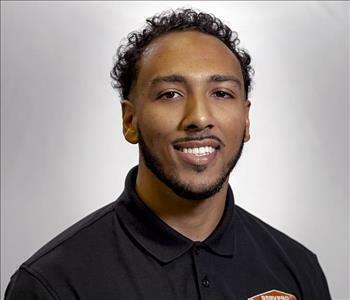 Gabe joined the SERVPRO team in 2014 and is an IICRC certified Water Damage Technician, possessing ample knowledge to address the many issues when in the field. He is also SERVPRO ECTP certified in carpet and upholstery cleaning and crew training. In his spare time, Gabe enjoys hunting and the great outdoors. 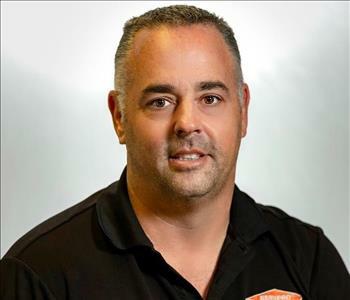 Brian joined the SERVPRO team in 2012 and possesses 23 years in the construction industry. He is truly the "Jack of all trades" and is always up for a challenge and welcomes the opportunity to help people in time of need. Brian is happily married with three children and enjoys being a dad, hunting and fishing in his spare time. 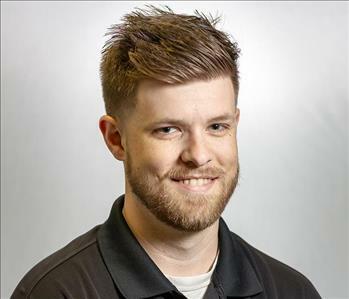 Corey joined our team in 2018 and is IICRC Certified in Water Damage Restoration. He possesses electrical experience and is a certified welder. In his spare time, Corey enjoys fabrication, hunting and fishing. 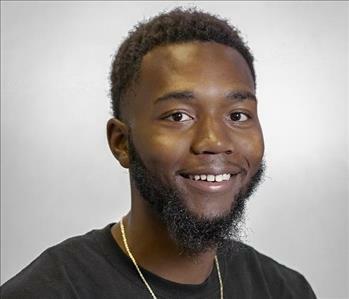 Chris joined our team in 2018 as a production technician and has proven to be a hard worker. He has certifications from the Institute of Inspection Cleaning and Restoration Certification (IICRC) in Water Removal. He graduated from JMA in 2013 and attended Georgia Southern University. In his spare time he enjoys working out and hanging with the family. 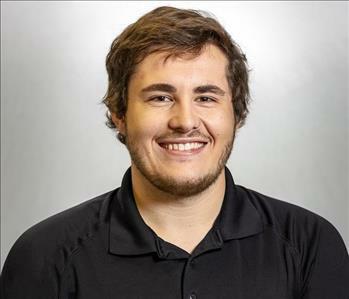 Brandon joined our team in 2018 as a production technician. He also serves Putnam County Fire Rescue as a full-time firefighter. With his extensive knowledge of fire damage, he is a perfect fit when dealing with the issues a family faces following a disaster. In his spare time, Brandon enjoys hunting, fishing and his lovely bride, Megan. 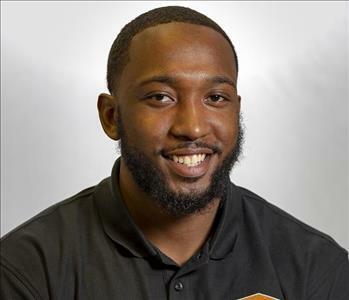 Malik joined the team in 2018 as a Restoration Technician. He has been swinging a hammer since he was a child and thoroughly enjoys working with our team. 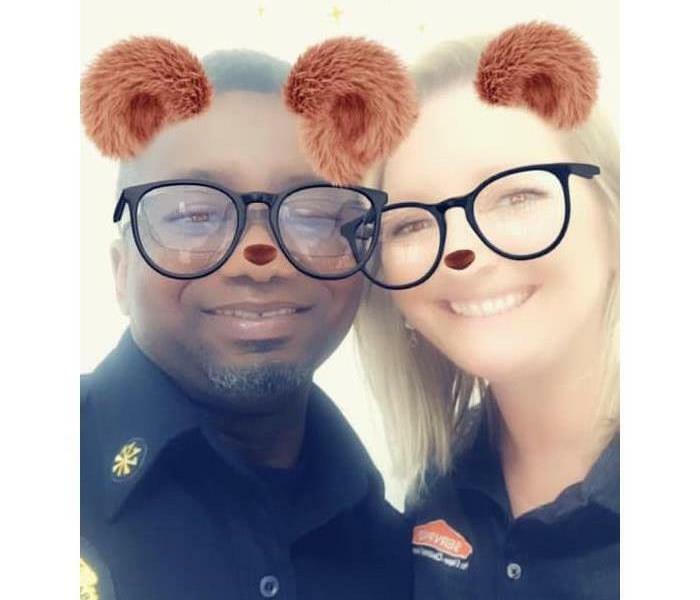 One of Malik's greatest strengths in his gift of gab and contagious smile which always produces a good customer experience. In his spare time he enjoys exercising and playing video games. 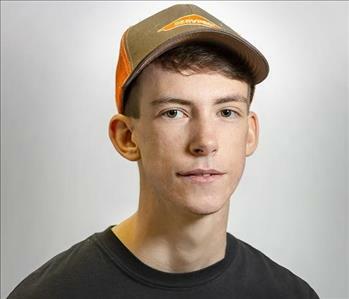 Jesse joined the team in 2018 as a Production Technician. He brings 3 years experience in the field of water and fire mitigation. In his spare time, Jesse enjoys hunting and deep sea fishing. 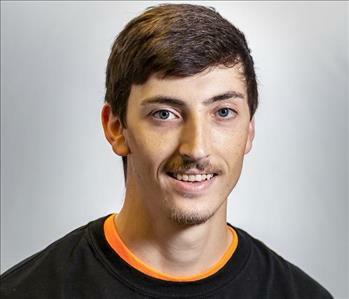 Jeremy joined the team in 2018 as a Production Technician. He has acquired SERVPRO ECTP Certification for Crew Training and definitely has become as asset to our team. He attended John Milledge Academy. He enjoys learning new things and taking on new challenges! Phillip joined our team in 2017 and could possibly be the hardest working individual we've ever seen. He's always happy to help with whatever he's asked to do and taking the initiative is his specialty. 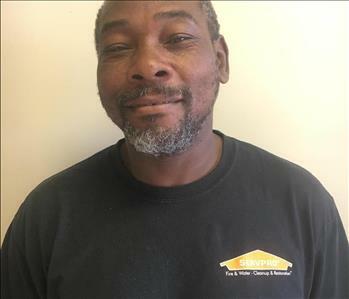 Although Phillip is deaf, he continues to participate and be an active technician, often times leading the team on the jobsite. Jordan joined our team in 2018 as a Production Technician. He has 3 years experience in the field of restoration and thoroughly enjoys helping people recover from unexpected disasters. In his spare time, he enjoys spending time in the woods and hunting with his dad. 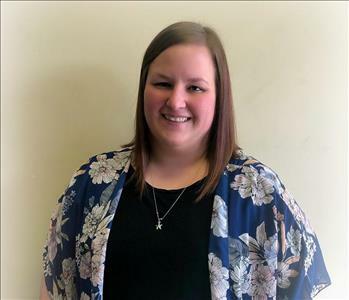 Shelby joined our team in 2019 as an office assistant and team cheerleader. She grew up in Gray, GA and is a current resident of Baldwin County with her husband James. She enjoys being active in her church and spending time with her family and fur babies. She also enjoys crafts and design projects.